Each year doctors around the country need room for new patient files. Florida requires that doctors keep x-rays from between five and seven years after the last contact with the patient. The files must be stored on site or in a secure storage facility and can build up over the years in a thriving practice. America Green Recycling can help with recycling and document destruction at the same time providing a possible source of extra revenue for the doctor or practice through the silver recovery process depending on the type of x-ray and volume. America Green Recycling eliminates the middle man in this process because we are the refiner. 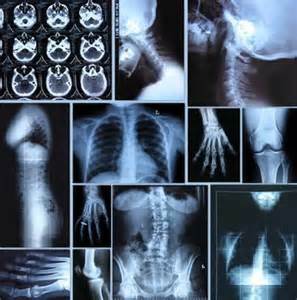 We offer on site quotes and immediate or next day payment depending on the volume of x-rays. We also provide proof of destruction of files and x-rays through the recycling process. Located in Central Florida America Green Recycling services the Florida and Georgia area. Please fill out an info request on our website or request a quote and pick up. America Green puts green in your pocket. X-Ray recycling is about to get busy. As doctors, hospitals and storage facilities purge old files and x-rays America Green Recycling is ready to serve our clients and any new clients that nee to recycle x-rays or files. As 2014 comes to a close America Green Recycling would like to thank our brave service men and women who sacrifice so much for the good of all. X-ray recycling in the new year as well and aluminum printing plate will be even more important to the country’s economy and environment. Recycling puts extra ‘green’ into the pockets of those who recycle and the fine recyclers around the country, which helps keep the economy green as well as the environment. America Green Recycling would like to thank our awesome clients and new contacts and wish everyone a Happy and Prosperous New Year!! During this time of tribulation around the world the celebration of the birth of Jesus reminds us that there is a reason for the season. At America Green Recycling we would like to remember our brave service men and women around the world that keep our country free to believe and rejoice in our beliefs. As we celebrate the birth of Jesus this year let us also think of what we can do for others and what they may have done for us. May God bless us all in the coming year and my you and yours enjoy this season of birth and re-birth by being mindful of others and doing what we can to help those less fortunate. So, from America Green Recycling Merry Christmas and to all……please recycle! There is real value of your unwanted X-ray film! Do you want income from your outdated X-rays? We are a leading X-ray recycling company in the southeast, providing X-ray film recycling and recovery services. We have been in the business for over 30 years. We can help turn your outdated / end of life X-Ray and MRI film into significant revenue. America Green Recycling offers the best quotes and prompt payment for your purged x-ray inventory and free pick up in the southeastern U.S.
We also specialize in Industrial X-Ray recycling and photographic chemical disposal and reclamation. Whatever your recycling needs America Green Recycling is there with green for your pocket and prompt courteous service. Call today for a quote or schedule a pick up! All over the United States Doctors and Dentists will be recycling X-Rays that are in some cases decades old. The beginning of the year allows the X-Rays that have been sitting in storage for many years to be released and recycled. X-Ray recycling not only keeps landfills clean, but allows Doctors to purge their often prodigious amounts of X-Rays and make extra income at the same time. America Green Recycling has been helping Doctors, Dentist and even Veterinarians to properly dispose of and make extra “green” for themselves. If you are purging your old X-Rays please call America Green Recycling today for a quote and schedule a pick up. The best quotes and prompt payment are America Green Recycling’s trademark. Printers who use Litho Film and Litho Aluminum are keeping America Green on a large scale. Thousands of tons of film and aluminum Litho Plate are recycled each day in the United States. The printing industry is a prime example of a sustainable recycling community. Film and Plates are constantly recycled and reused keeping tons of metal, plastic, and contaminants out of the environment. Thank your printer today for his or her efforts in keeping America Green! Aluminum Litho Recyclers : Lithography is the process of printing from a flat sheet from which ink is repelled, except for areas where it is meant to be transferred to the printed surface, such as paper. That flat surface now is usually in the form of thin aluminum plates. In most cases, these plates are not reusable over time, and it is common for some commercial print shops to go through more than 100 hundred plates each day. Due to these factors plus the ease of recycling aluminum, recycling of aluminum lithographic plates is common. 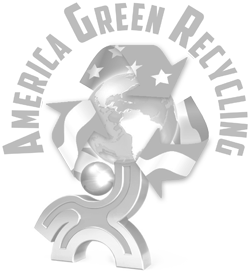 America Green Recycling has been a leading recycler of Aluminum Litho Plate for the past 30 years. Aluminum Litho Recyclers help keep America Green by recycling tons of Aluminum Litho Plate each year keeping them in circulation and out of the landfills around the country. If you are a printer or newspaper operation America Green Recycling can not only pick up your used plates, but give you the best quote and prompt payment for you materials. America Green can put some green in your pockets and protect the environment at the same time. America Green has developed a great, easy way for printers and newspaper to generate income from used Aluminum Litho Plates. Litho printing also uses Litho film that is also a source of revenue for printers and newspapers. America Green Recycling will offer top money for Litho Film and prompt payment based on daily market prices. Call America Green today to find out how to generate income and help the environment by recycling your Aluminum Litho Plates and Litho Film.